Richmond Hill Marble Restoration, Restoring Marble and Limestone for more than 20 years, TCROWN is the largest and one of the most experienced stone restoration and maintenance companies in the GTA Ontario area. Having restored thousands of homes and maintaining numerous local hotels and office building, we understands and excels at marble floor restoration, marble repair and marble care. 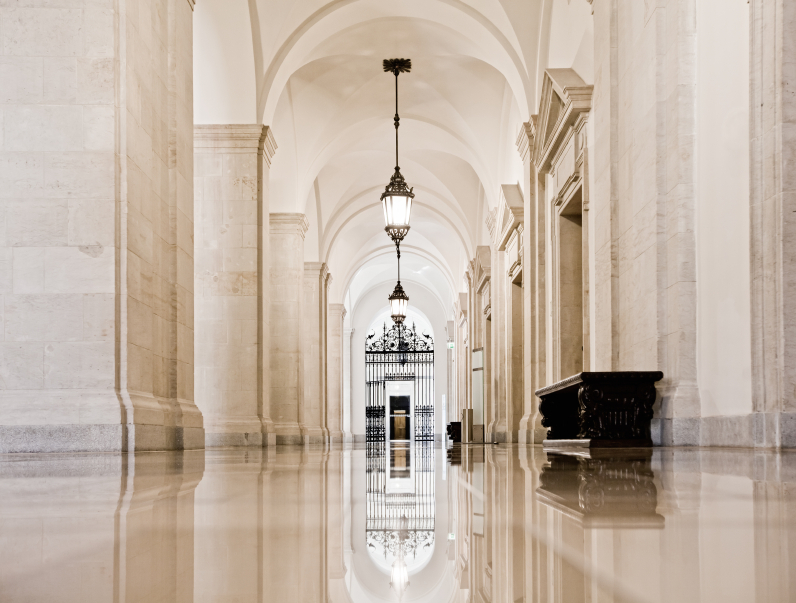 Did you know our professionals will guarantee that if we are maintaining your property monthly (hotels, office buildings) you will never have to restore your marble or limestone floors again? We cannot only restore your marble and limestone surfaces, but we know why it works. It is this keen understanding that enables us to remove deep scratches without dipping the floor, or how to maintain a floor in a fashion to eliminate the need for future restorations. If you have a high traffic marble or limestone floor in a retail, hotel or office environment let us know. We can develop a customized care plan designed to maintain your property’s stone’s quality appearance year round. Don’t accept appearance cycling as the norm when we can keep you looking good. Call today and speak to your TCROWN trained craftsman. TCROWN cleans, restores, maintains, polishes and protects more marble than anyone else in the industry. 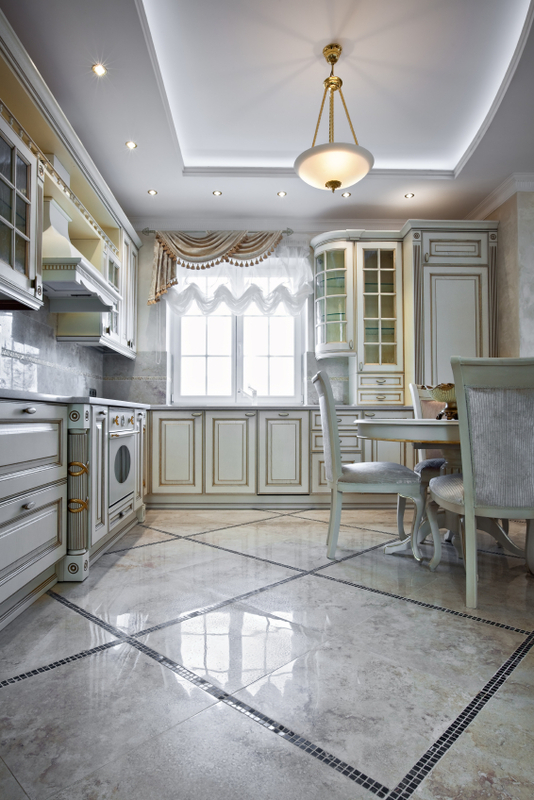 Whether you’re looking for premier marble cleaning products or a service from our highly-trained expert stone craftsmen, TCROWN Richmond Hill Marble Restoration can provide you with knowledge, commitment, and quality. Marble is an easy surface to maintain when cleaned periodically using a non-acidic cleaner, such as TCROWN Stone & Tile Cleaner, available to purchase in our online store. * Sweep or dust your marble surfaces regularly. This removes loose grime and debris that can be ground underfoot to wear your stone. * Never use acidic materials on marble and keep such substances away from your marble surfaces. Acidic materials dissolve marble, resulting in micro etches, spill marks, and a generally dull appearance. * Use only non-acidic surfactant-based cleaners designed specifically for use on marble. Products that claim to clean and shine should NOT be used, as they require the application of an oil or wax to impart an artificial shine. TCROWN cleaners are available in ready-to-use and concentrate formulas for refills and floor cleaning. Need to change your finish? Too dull or too shiny? Have a new floor with some tiles that are higher in gloss than others? Let TCROWN even out the finish for you. Whether you are seeking a polished/gloss, semi-gloss, or matte finish, we can deliver. TCROWN Richmond Hill Marble Restoration began over 20 years ago as the first company in the GTA Richmond Hill area offering stone restoration services. Since then, our philosophy has remained the same; to offer the highest level of quality and professionalism possible. Our Services range from residential foyers, to commercial service contracts with major hotel chains and property management firms. Many of our first residential clients continue to be our best customers, and often refer us to their friends and families. TCROWN Quality Stone Products has been established to continue our services and expertise to our existing customer base and to reach out to new areas where our knowledge and experience will support companies working with stone. TCROWN Quality Stone Product carries a line of products to support Residential and Commercial Customers, Installers and Stone Fabricators. TCROWN Quality Stone Products stocks everything from Daily Cleaners and Sealers to Diamond Polishing Pads and Profiling Bits. Please take a moment to review our catalog and our line of products. If there are items you are currently using that are not represented in this catalog, please bring these to our attention so that we may better meet your needs.